This article is part of an ongoing series of interviews for my exclusive column on Thriving Culture. The intention of this series is to give you, as a reader, a sense of where and how culture is thriving in the solar industry, and how you might begin to strengthen company culture in your own company or place of business. I conducted this interview with Anthoney Robinson, PV Installer and Energy Consultant at Elemental Energy, which currently employs 15 solar team members with 2 solar install teams. Tamara: How would you describe your path to becoming an installer at Elemental Energy? Anthoney: I was in the Marine Corps right after high school. I didn't particularly enjoy that too much, but I did learn that I like manual labor. I can't sit behind a desk – it’s something that I just can't wrap my head around. After the Marine Corps, I bounced around for a little bit until my friend Brandon, whom I’d grown up with in Florence, was starting this company with John. It was just the two of them for a long time, but whenever there was a big project, I would get to help them out. It was an enjoyable thing to be able to work with the technology and learn on the job. I was not very good in school when I was younger, but it was really reassuring to be very good at my job in the Marine Corps --it showed me that I was capable of learning. So, once I started doing installs with John and Brandon, I saw that I was getting passionate about it. I realized that I could be really good and understand it one day. Before the company was big enough to bring me on full time, I worked here and there on big installs, as well as at other jobs, including working as a cook for a while. As the company grew, I finally got to quit my other job and start working for them full-time, which was extremely nice. It was the perfect company for me. They were supportive of me going to school to get my Associate’s Degree, and would work around my schedule with installs as much as possible. Anthoney: A casual work environment. A nice tight-knit community. I'm friends with everybody I work with, and I enjoy everybody's company. We have a lot of fun together. Tamara: Where do you see aspects of a thriving culture at Elemental Energy? Anthoney: The owners are engineers, and we're all very knowledgeable. All of us are pretty nerdy about it. We really geek out over the new stuff coming out, and we're super passionate about it. We work hard, but we play harder. We like to do all kinds of different stuff outside of the company, and it always overlaps because a lot of the stuff we're doing also has something to do with solar. For example, we have an art installation that we bring around on a solar trailer. It's a trailer that we built out, and it's got a flat-screen TV in the back, and a nice stereo built into it, and a Nintendo 64. If we're going up to the mountain to ski, for example, we'll bring the trailer and put it in the parking lot so people can understand how all the solar on top of the trailer is powering the entertainment equipment that they’re playing with. It's a good segue into talking about what we do and giving people a bit of knowledge. That’s another huge thing that we love to do. We don’t want to just throw solar on people's houses, but to teach them how it works. Tamara: It sounds like what you're saying in regards to thriving culture at Elemental Energy is that there's an appreciation for playing while working, in a certain sense. I mentioned earlier that the work that I do with Thriving Solar centers around helping people appreciate that when you treat people well, business thrives. In addition to treating people well, which is part of the way that you create a thriving culture, positive culture can be created, like you're talking about -- the close-knit community and a casual work environment and being friends. There are things that happen in that space, interactions that happen, responses to mistakes, things like that which either support a person in your position, or don't. How does the culture that exists at Elemental, like the things that happen around the people, for example, affect your ability to do your job well? Anthoney: I'm very well supported. It's crazy to be in a company where I'm just an installer, but have a lot of say when it comes to some things. We get to try a lot of different new products, and I know that other companies are focusing on pitching one product. I really love that I'm able to say, "Let's give this racking company a try," or "Let's do this," and being able to try this out. I really love that because if I'm going to be a solar installer, I really believe that I should be able to pick up any product and install that. Also, in regards to trying a lot of different stuff, we also like installing solar on food carts – not just sticking with residential and commercial solar. I like to do battery systems and learn about those, and then put solar on food trucks. We do that around Portland, also. Those little projects are the ones that keep us motivated and really entertained when we're just doing the cut and paste residential and commercial jobs. Tamara: You mentioned being very well supported and one of the examples you used was being asked for your opinion and being valued for it. Is there another way that you might add that you feel supported in the work that you do or working at Elemental? Anthoney: They trust me, as far as my ability. I don't have to call John as often to get his opinion because he’ll just tell me that he trusts my opinion and to just do it how I think it should be done. Tamara: What role do you play in supporting a thriving team culture at Elemental? Anthoney: I try to keep everybody light-hearted. I think people sometimes take their jobs too seriously, and they get a little frustrated. I come from the infantry of the Marine Corps, so in the back of my mind, I’m always thinking that what I do is very simple in comparison to what I've done. When people are getting frustrated over minute details, I try to cheer them up and keep everybody in a positive mindset around the office and on the jobsite. I started 'Tie-dye Fri-dye', for example. On Fridays, everybody wears tie-dye. I tie-dyed about forty shirts for the company at one point. That's another great thing, too. I can say, "Hey John, I think we should all get jerseys made just in case we want to start a basketball team or get a dodgeball team going." Lo and behold, one month later, we all had jerseys. We haven't had a team of anything yet, but it’s nice to be in a jersey on the roof in the summer because it's really breathable material (yet another reason I wanted jerseys!). Tamara: Is there anything that's been tried at Elemental Energy in regards to creating a positive team culture that maybe didn't work as well as expected? If so, what was done to improve that attempt? Anthoney: We used to run a lot more people on the job-site. We were thinking with more hands, the faster the job would get done, but we learned that there were too many chiefs, not enough Indians. When we cut that number in half and went to what we're doing now with the lower number, it was a lot more efficient. Taking people away from the job, we can now run two crews instead of having both of those crews on a job-site. It made it a lot more efficient. Tamara: Was part of the reasoning for having those two crews on one job because the season was slow? Anthoney: Yeah, that's definitely a part of it sometimes. Around the first quarter, people need to get their hours. You learn that it's a lot more valuable to have them somewhere else with just a few people on the job-site. The more people on the job-site, the more likely that communication is going to suffer. Tamara: Considering the slow season that the solar industry has, how does Elemental deal with being able to keep people on or having to let them go? How has that gone over the years for Elemental? Anthoney: We've been busy enough the last two years. We do a pretty good job to keep some jobs in the pipeline. We all understand that we love this culture, and we love the jobs we're doing. We understand that January and February are going to be slow, but we also try to do things like go to Hawaii in February to do an off-grid project for someone. It was beneficial for us because we got to go to Hawaii and work, and because February in Oregon isn't great weather. Going to Hawaii was great. It was big morale booster. Our installer, Will, had never flown over an ocean before. He was so excited to get to travel somewhere because the work we do got to bring him there. It makes everybody really enjoy the work so much more. Everyone in our company loves to travel. Cassandra, for example, is on a road trip right now, doing designs on the road. We've given her the ability to work at a coffee shop anywhere and just do the designs as she travels. I haven't gotten to do a project with our non-profit yet, Twende Solar, but that's a big thing they love to do, too. They've gone to Cambodia and Nicaragua, and have supported solar on schools. I hope to be able to participate in a non-profit project this year. Tamara: What primary challenges do you or have you seen in regards to supporting people and creating a positive company culture, and how do you think they've been addressed? Anthoney: I'd say a big one is communication. Sometimes it's hard to communicate between the install crew and the office. The crew always gets to the office before anyone in the office is there, and sometimes we're getting back after everybody in the office has left. It's been bumpy at times, but keeping good lines of communication between us, as the install crew, and our project manager, our designer, and the people in the office is very important. To create better communication channels, we started holding weekly team meetings where everybody must be there. We've been doing it on Mondays so we can go over what's going on that week, what's happening with the installs, what little things need to be wrapped up, etc. That has really helped our lines of communication. Anthoney: I just want to say the work we do in Portland keeps us grounded. We love it, and we love making our community better. And, the work we do abroad gives us the wings. Twende is a very big part of that - we love trying to get projects for the non-profit, and that's a very important part of our business now. Anything we can do through Elemental to benefit Twende is huge. I think we all agree that solar is here to stay. 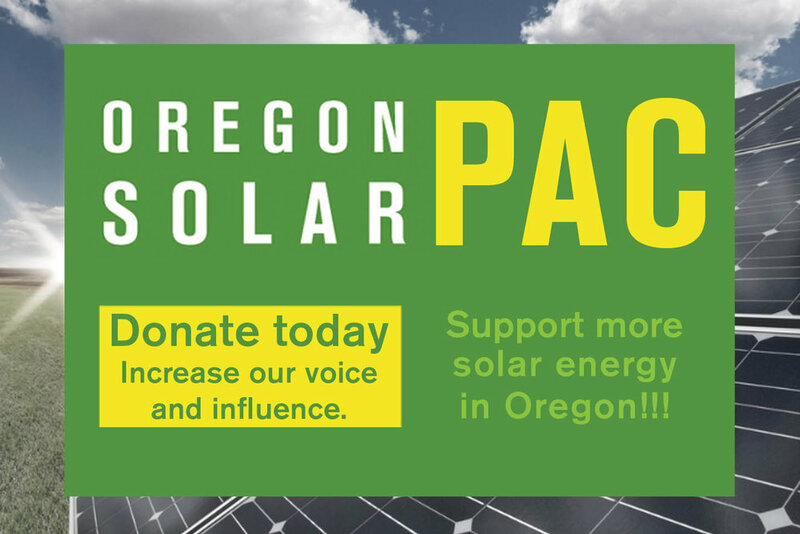 We seize every opportunity we can to educate people on solar, and we hope to make Oregon, and a lot of the rest of the world, becomes 100% renewable.